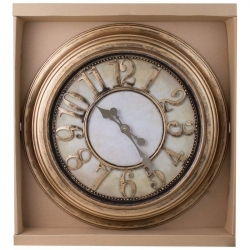 Make a timely, impressive statement when you hang this 24” Antique Gold Round Wall Clock in your home or office. 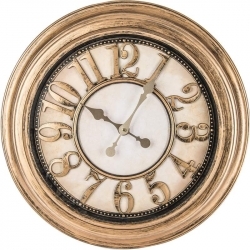 The light-colored clock face is accented with gold numerals, dial, and hands. Plastic, antique gold-colored frame fits in with any décor. Requires 1 AA battery (not included). This clock can change with seven colors and adjust your emotion with the clock. Normal Mode: Normally display time, date, temperature. This clock has music alarm clock and sleepyhead mode. Temperature Mode: Sensing the environment temperature automatically, and this alarm clock can make the interconversion between Celsius and Fahrenheit temperature. 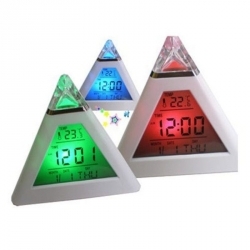 -Product: Pyramid Shaped 7 LED Alarm Clock. 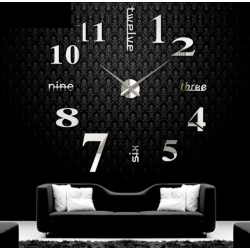 Hang it on the wall of your bedroom, kitchen, study, living room or anywhere you want to decorate your home in unique and novel style. DIY distance from different digits, and DIY shape of the digits. STEP2:Cover the clock with the auxiliary scale, as to the scale, stick the figure at the right site. 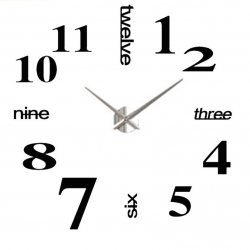 STEP3:Take down the clock, fixing the hour hand and minute hand one bye one. 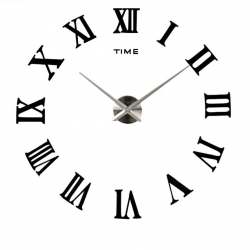 Tips :press the hands into the clock axes in order aim at 12 o'clock. STEP4:Adjust the time with the button and install the battery. STEP6:Well done! You can enjoy your art-work now. *Exquisite workmanship, retro appearance, very funny. *Made of new environmental-friendly synthetic fiber wood. *Mute scan movement won't disturb your rest. *Suitable for living room, bedroom, study room, classroom, hotel, etc. 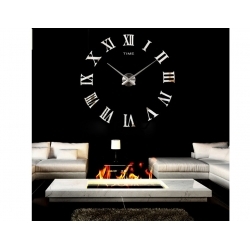 Make a timely, impressive statement when you hang this 24" Antique Gold Round Wall Clock in your home or office. 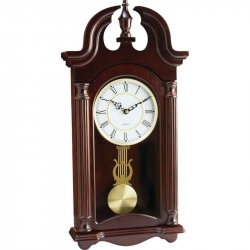 The light-colored clock face is accented with gold numerals, dial, and hands. Plastic, antique gold-colored frame fits in with any d'cor. Requires 1 AA battery (not included). Kassel(TM) Quartz Pendulum Wall Clock features gold-tone finish, crafted wood frame, glass front, Youngtown step movement, and melody. Requires 4 AA batteries (not included). Measures 11-3/4" x 23-1/2" x 3-5/8". Limited 1 year warranty. Brown box. 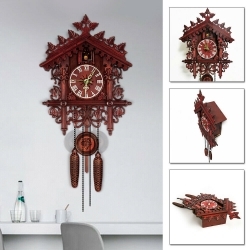 You can hang it on the wall of your bedroom, kitchen, study, living room or somewhere else you want to decorate your home in unique and novel style.